Trip to France Day #15 - Uzes - 2011, Jan - 10.jpg | Flickr - Photo Sharing! The infamous and scrumptious Tarte tatin, as prepared by my mother. 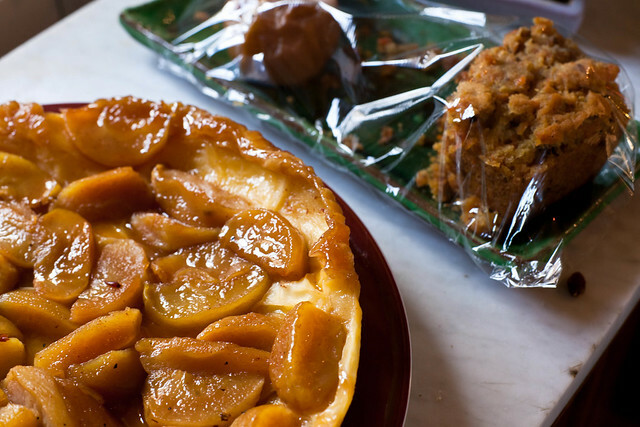 This dessert is an upside-down tart in which the fruit (usually Golden Delicious apples) are caramelized in butter and sugar before the tart is baked. Find more about it on the blog.